#ShoojitSircar just confirmed his next movie, which is based on revolutionary #UdhamSingh on the sidelines of a press junket. Filmmaker Shoojit Sircar will be venturing into period drama with biopic based on revolutionary Udham Singh. The film is based on Singh, who assassinated Michael O'Dwyer, the former Lieutenant Governor of Punjab in British India in 1940, to avenge the 1919 massacre of Jallianwala Bagh. 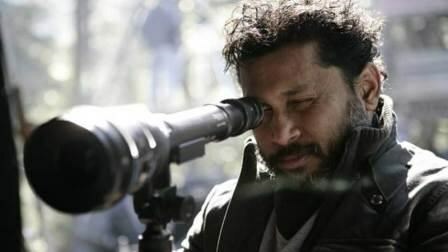 Talking about his future projects, Shoojit Sircar said, “One of my films is on Udham Singh, he was a revolutionary from the pre-independence time. That is my next subject which I am working on”. Bollywood recently saw controversies related to period drama films, starting with Padmaavat and Manikarnika. So talking about pressure and controversies in horizon with such subjects, Shoojit Sircar sounded confident. He said, “I’ll take care of whatever has to be taken care of, as a responsible filmmaker and citizen. Sometimes Bollywood takes unnecessary advantage of their situation as a filmmaker. So I will not do anything or compromise anything just for the sake of commercial pressure. I will be as genuine as possible”. Further adding Shoojit said he will not “liberty” with the subject, until or unless he can authenticate it. He said, “I will take the liberty as to what I can authenticate as that person, not liberty to sell my film”. Currently, Filmmaker Shoojit Sircar is promoting his forthcoming movie October, which stars Varun Dhawan and Banita Sandhu in the lead. Talking about the October, Shoojit said, “It is a very simple film. After the trailer we’ve been getting responses like it is intriguing, thriller or suspense film, there is nothing like that, it is a very simple story. Not a love story, it a story about love”. The film is written by Juhi Chaturvedi and produced by Ronnie Lahiri and Sheel Kumar under Rising Sun Films banner, and scheduled to release on 13 April 2018.